Allocating your patients to the most appropriate clinic for their consultation. Seeing your patients within Government guidelines. Allowing faster registration for your patients at their first attendance. Reducing the amount of time your patient spends at the hospital. Writing back to you within three weeks of seeing your patients. To help us to achieve this and to improve your patients’ experiences at the hospital, we need certain information from you each time you refer a patient. This approach will enable us to work more efficiently for you and your patients and to improve the access for those in need. 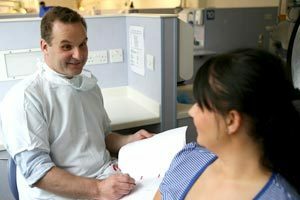 We value your time, effort and trust in referring your patients to us and will continue to offer a wide range of opinions, advice and treatment options. All consultants welcome your direct ‘named’ referrals, although may redirect your patients to a colleague more appropriate to their needs. Study casts are occasionally useful in the consultation process but should not be sent with the referral letter as we have no storage facility for these. If necessary, please ask your patient to bring the casts to their consultation appointment. All patients referred will be seen by a senior member of staff but we are not in a position to accept all patients for treatment. They have special requirements (medical conditions or case complexity) that normally preclude treatment within the primary care sector. They are suitable for undergraduate teaching purposes and the waiting list is not closed. They are suitable for postgraduate teaching purposes and the waiting list is not closed. During treatment, your patients may still require some aspects of routine and emergency dental care from you. Once treatment is complete, your patients will be discharged back to your care.